Materials engineering is a combined theoretical and application field utilizing knowledge, approaches and theory of physics, mechanics, technology, chemistry, biomechanics and other fields aimed at understanding the essentials of processes which occur in the structure of material. 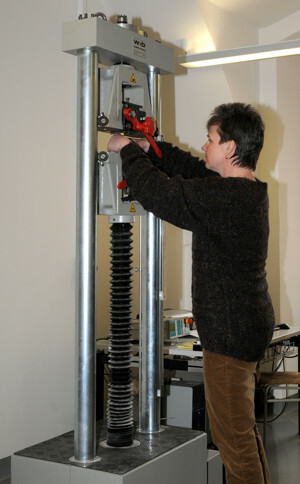 The development of new materials and the improvement of their properties requires the use of modern experimental methods and computer aid. Information on material properties in real operation of components, knowledge of degradation processes and limit states of the failure of materials are absolutely necessary. Synthesis expertise in materials engineering, engineering technology and economics will allow you to find jobs not only in large engineering plants, small and medium sized enterprises, but also in various research, project and business companies and state administration.